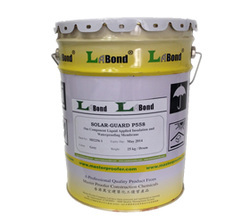 SOLAR- GUARD P558 is unique waterproof membrane and thermal barrier designed for use on roof and wall substrates to reduce heat adsorpsion into buildings, offering potential energy savings to building owners. P558 is a cost effective heat shielding coating that use advanced insulation technology to reduce the interior temperature of building. It provides a flexible seamless finish that can withstand long term UV exposure and varying climate.